Although Daniel Dulitz, Product Manager, Google, emphasized the point that you don’t necessarily have to have Google+ profile page to do well on Google search result, it was evident from other panelists’ views that as a business you need to have Google+ profile page, and now. Panelists talked about how, if you put a “+” operator and search for a business name on Google search, example “+nickelodeon suites resort” or “+search engine land,” it will now directly take you to the business’ Google+ profile page, skipping Google search result directly. Other panelists opined that by adding this feature, Google has made it clear to businesses that they need to have a Google+ profile page. Janet Driscoll Miller said that it’s very important for any business to add a Google badge on their web site, along with setting up Direct Connect on your Google+ profile page. To setup Direct Connect, you will need to add your web site’s link on the About Us page of your Google+ profile. Daniel also emphasized that Google automatically enhances your content on Google+ with richsnippet microdata. Sean Carlos concurred with the other panelists that Google+ importance has increased since its launch. He said that he saw a “super site link” – with title and a large snippet coming from Google+ for some of the search results. If you click on this link, you will end up on the company’s Google+ page and not on the company’s web site. 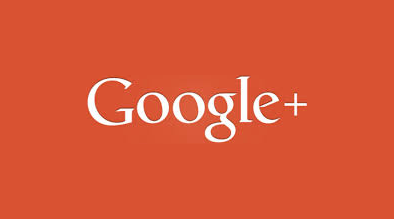 Thus you have a more prominent search result that is directing users to your Google+ page. This clearly shows the impact Google+ is already having on organic searches. In conclusion, the importance of Google+ profile pages showcased currently is only the tip of the iceberg. Over the course of time, impact of Google+ on Google search result is only going to increase.